Keeping track of your sent emails can be a little tricky if you often access your email on a number of different devices. Certain types of email accounts will automatically sync the inbox and sent items folders across multiple devices, but other types of email accounts can make it difficult to find copies of emails that you have sent to others. 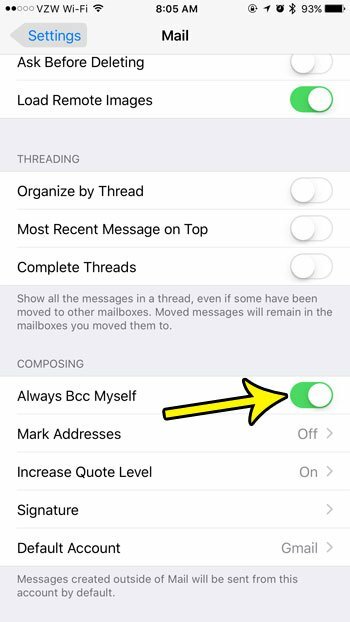 one way to resolve this problem on your iPhone is by enabling a setting in the Mail app that will cause the device to automatically send you a copy of every message that you compose. This makes it a little simpler for you to find your sent messages in the future. The steps in this article were performed on an iPhone 7 Plus in iOS 10.3.3. After you enable this setting you will change the behavior on your iPhone when you write an email. Any time you compose an email message in the Mail app, you will automatically BCC your own email address on that email, which will send a copy of the email to you as well as your recipient. Note that this is specific to the iPhone Mail app. This will not happen if you send the email from your computer, or another device. Step 3: Scroll to the Compose section near the bottom of the menu, then tap the button to the right of Always BCC Myself. 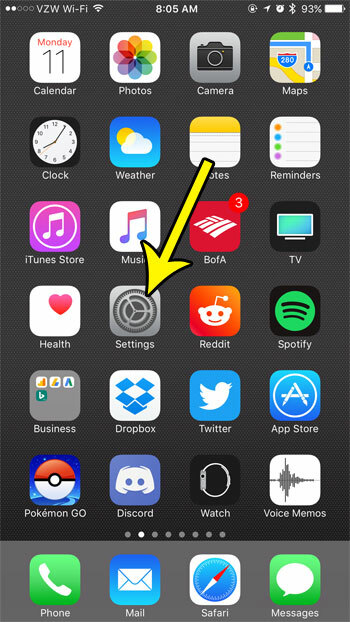 Is there a red circle with a number in it on top of your Mail app? 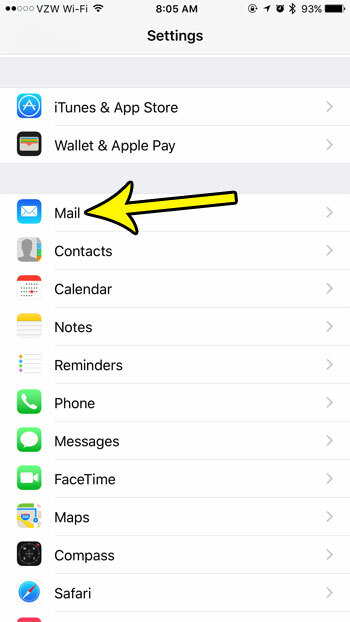 Learn how to remove that number on your iPhone if you would prefer not to see how many unread email messages are currently available in your Mail app.